Ultra lightweight and extremely strong, these Dreher™ sculling oars are perfect for all water slide seat rowing. 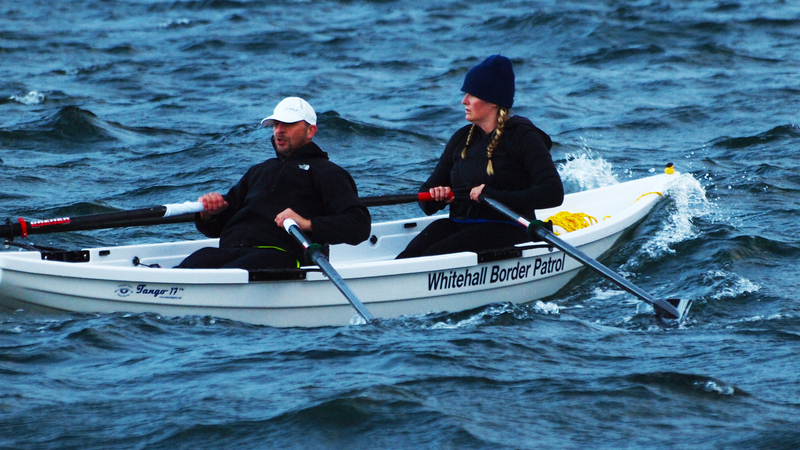 The carbon fiber club-style blade are ideal sculling oars for any of the classic models. 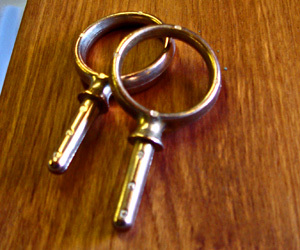 They feature handles that can be adjusted 41/2” or 10 cm. 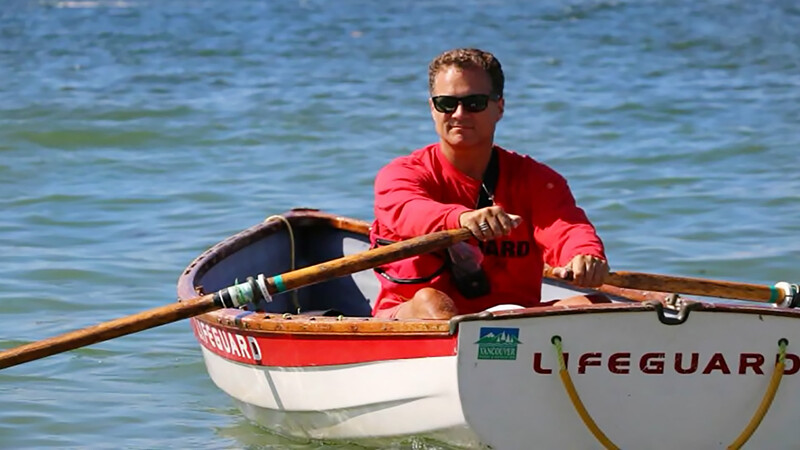 Lighter or shorter rowers can adjust these oars to “gear down” or ease the power required by shortening the handles. They also feature a cushioned grip with white collars, black buttons, and asymmetric “Club Style” blades. They have rounded corners that will not ding the woodwork. 9’6”(+/-) 4” or 289 cm (+/-) 10 cm. 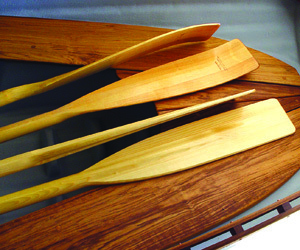 These lightweight Sitka spruce traditional oars are the best available for fixed seat rowing. There are two types available: the more utilitarian straight blade and the slightly more efficient and attractive spoon blade oars. 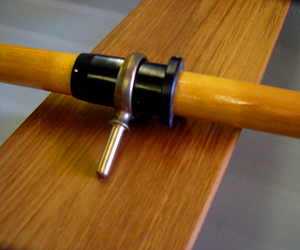 Both types come complete with a black plastic oar collar and a black plastic covered stainless steel offset oarlock. These beautiful examples of leatherwork are examples of how oar collars were done for hundreds of years, hand-sewn with flax thread. They will handle hundreds of hours of rowing. Injection-molded plastic collar by Scotty. Lasts indefinitely. Efficient and inexpensive. 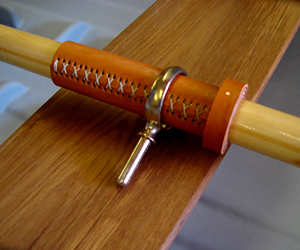 Pressure casting is used for this most important component of successful rowing. These custom-manufactured oarlocks are guaranteed not to break, because the casting process eliminates any potential voids in the metal.